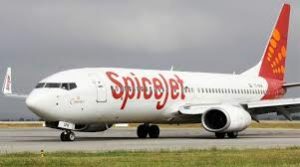 SpiceJet is set to launch flights from Hyderabad to Jeddah from March 25, the budget concentrated airlines will offer non-stop flight services. SpiceJet said that Jeddah will be their latest addition in its international destination and 3rd in the Middle East. The flights will use the Boeing 737 MAX airplane that can seat up to 189 people per flight. The airline announced a special offer over the launch of their new flight services to Jeddah, they will be selling tickets from Rs. 10,799 and Rs. 13,499 for Hyderabad to Jeddah.